Make the hole location and rivet points. Approximately 40% of 67' Camaro's were manufactured with a column shift. It's very rare to see a muscle car at a car show, or even just driving around, with an original column shift. Column shifters were included with front bench cars and with any who didn't order a floor console/shifter. Turbo Camaro was originally a column shifter car, and still has the slot in the column to prove it. Deciding to convert to a floor shift was difficult as it's not a unique route but is the desired method. In order to convert a column shift to floor shifter and make it look stock, you need to acquire a bunch of parts. If you're one of the 3% of 67' Camaro's with a front bench seat, you'd need to tear it our and put in bucket seats to make room for the floor console. However, if your car is a front bench, and standard transmission, consider holding off as only hundreds of them were made and are some of the rarest Camaro's around. Either way, get yourself a complete console, mounting bracket, shifter and linkage. Ensure your shifter comes with the reinforcement bezel and a rubber boot. 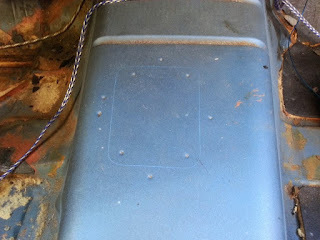 Cut the hoe and drill out the holes according to rivet size. Mount the shifter with lock washers and Loctite. Once you've got the required parts you'll need to pull the carpet and cut a big hole in your floor. The hardest part about the conversion is the hole. Their is no adjustment on the shifter for left/right or forward/back so putting the hole too far in any direction will directly affect the position of the console. 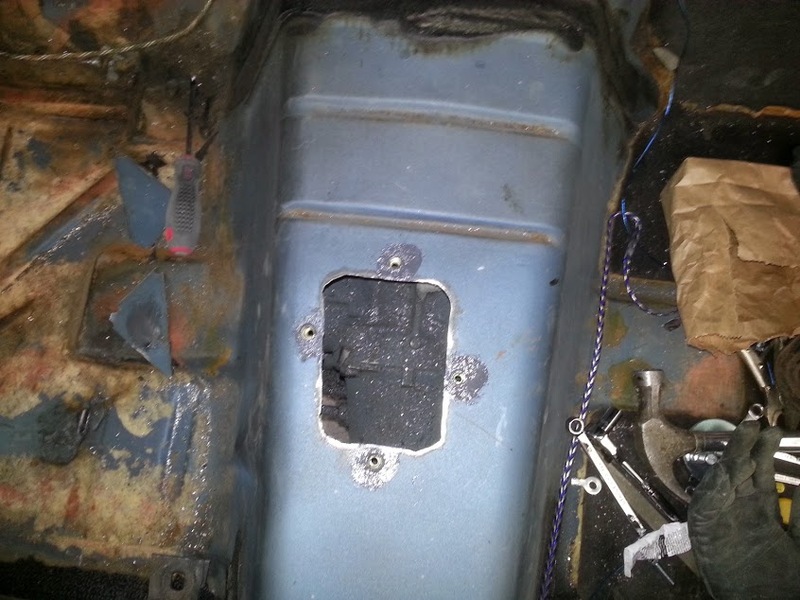 Several Camaro forums have images with rulers on the transmission tunnel that help find the correct spot. 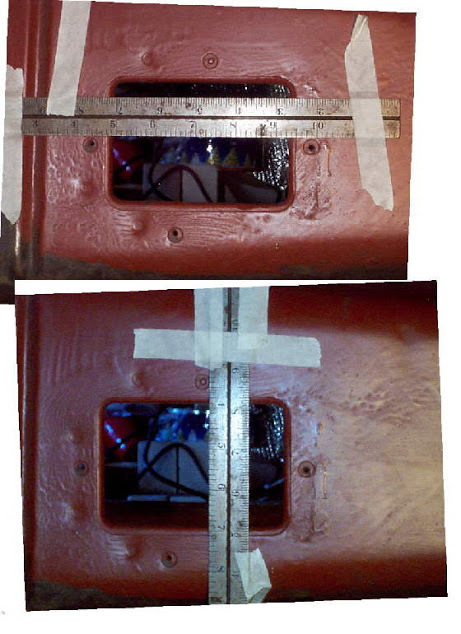 Those images, and an original floor shift Camaro were used to triangulate the factory hole location. Mark and cut the hole with a rotary saw (small rotary blade or a jigsaw work well). Be careful not to hack through any wires or gouge the transmission when cutting through the tunnel. Once you have the hole cut, you'll need to mark where the mounting holes go. You can then mount the shifter. Welding it down would be very effective but a great alternative is drilling the holes and using nut rivets. Be sure to use Locktite on the bolts and you're good to go. Slice and dice the carpet, place your console and mark the front and back mounting holes. Once your shifter and console are in place you can put the seats in and decide what you want to do with the column shift slot. 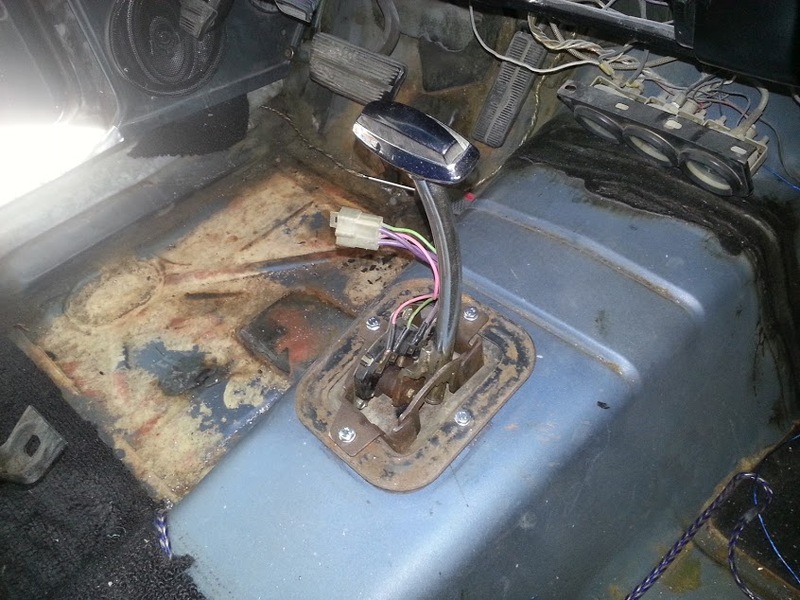 Swapping steering columns is fine if you have access to a used one, otherwise you'll pay hundreds for a new one. Consider getting a tilting one if you didn't already have one. Currently, Turbo Camaro still has a slot on the column for the shift lever. Considerations have been made to hide it but perhaps a modern/retro upgrade is in order. Once a decision is made it will be posted here.